According to MARDI, Kelulut honey contains up to 10 times higher antioxidants properties than ordinary honey. It also contains lower reducing sugar (fructose and glucose) and also high in anti-inflammatory and anti-bacterial properties. 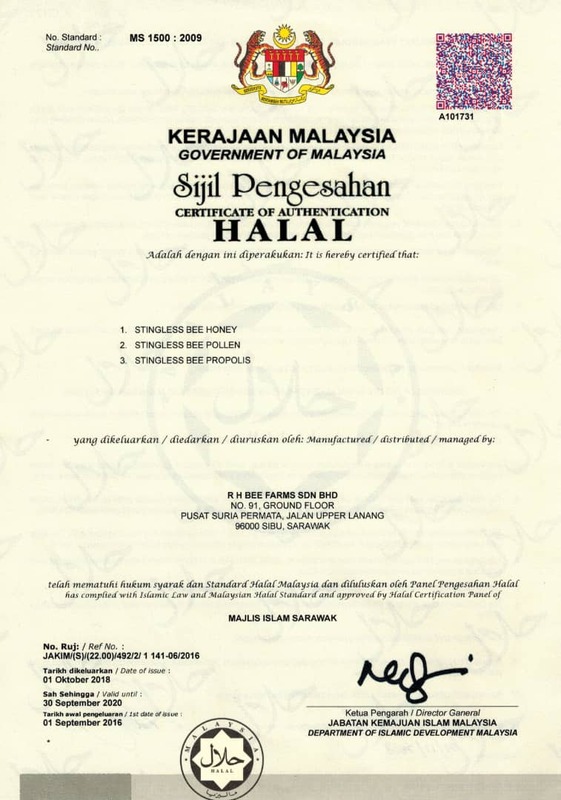 Kelulut honey also contains active enzyme. It is infused in propolis and undergone a natural fermentation process that gives a unique and distinctive flowerish aroma with a sour taste. You will also collect 95 reward points. 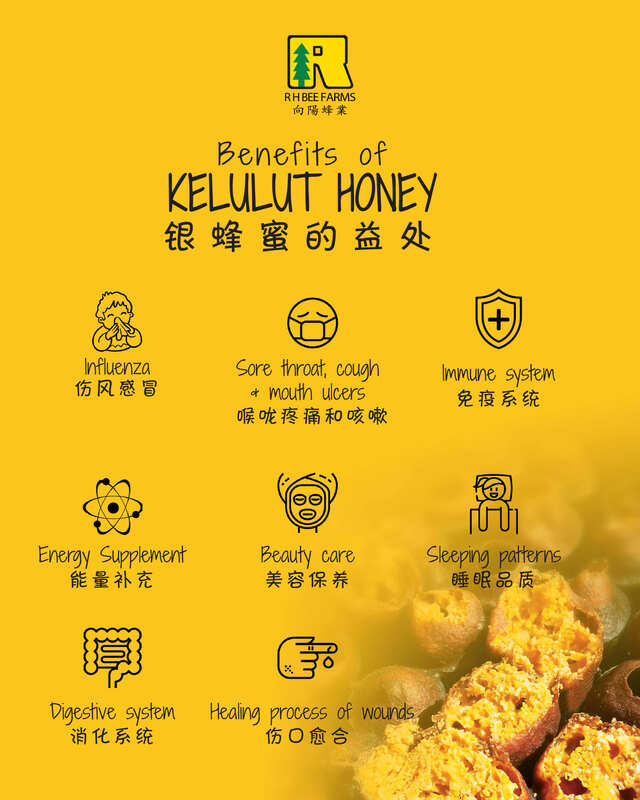 Stingless bee honey a.k.a Kelulut Honey was used traditionally by native and folks to cure common sicknesses and diseases. Therefore, it is known as Mother of Medicine for its richness natural medication and healing properties. Improve digestion and increase metabolism. With size ranging from 3mm to 13mm only, they are able to sip and forage nectars from inflorescences of tiny flowers and deepest space of flower blossoms. 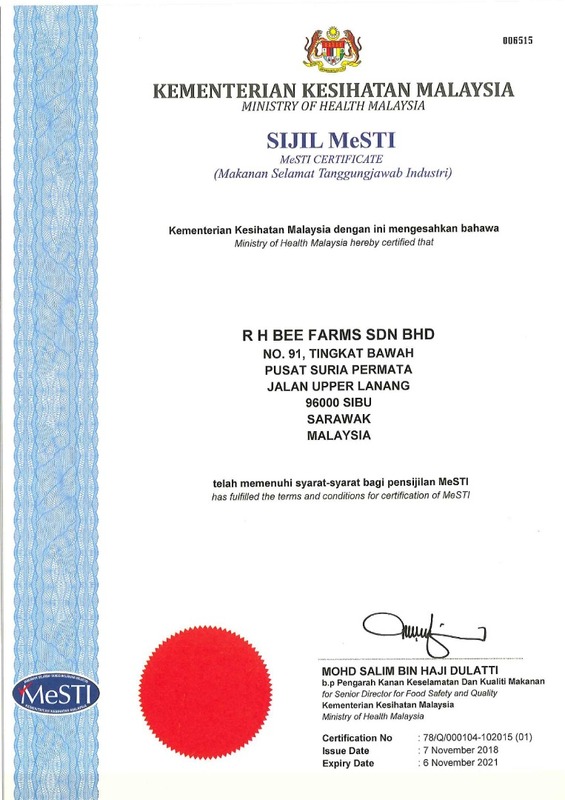 Therefore, Stingless Bee honey / Kelulut Honey is rich in vitamins and minerals compare to Ordinary honey bee. After harvested nectars, it will be brought back by Stingless Bee / Kelulut honey and stored inside an egg-shaped pot covered with propolis. 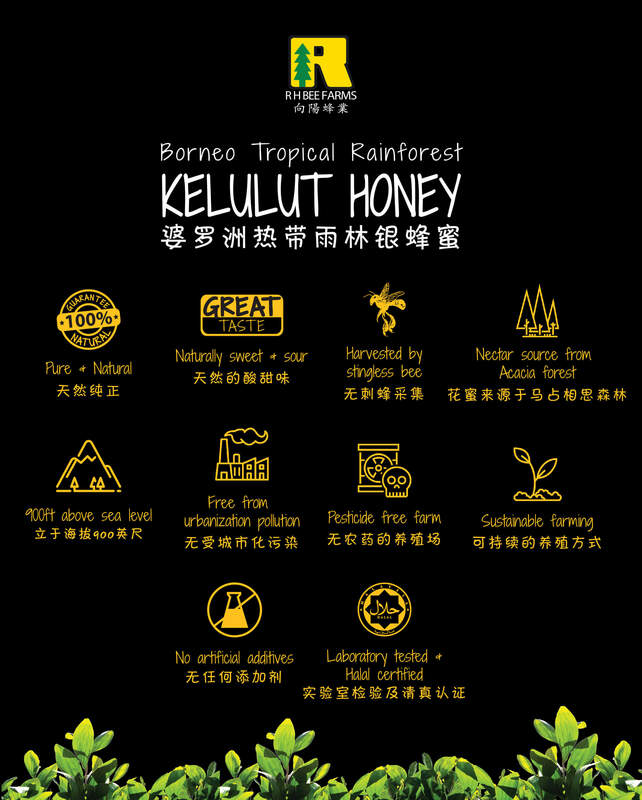 With low Fructose and Glucose content, stingless bee honey / Kelulut Honey can be used as a natural sweetener. It is also ideal for those who live an active or stressful life, great before and after exercise as a rejuvenating tonic. Usage: Take 1 Tablespoons 30 min before breakfast, daily. 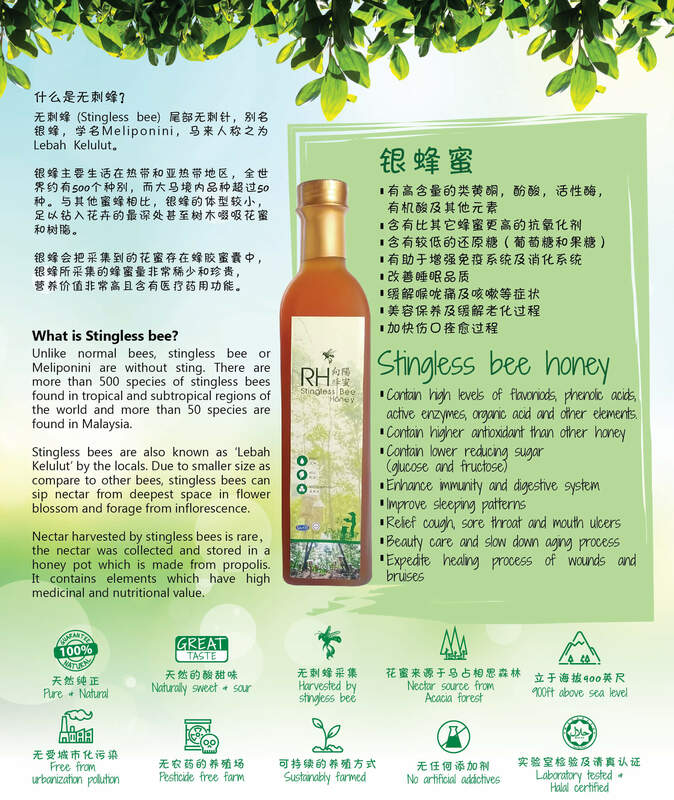 Get a bottle of RH Stingless Bee Honey a.k.a Kelulut Honey today as your most natural and nourishing supplement food today!